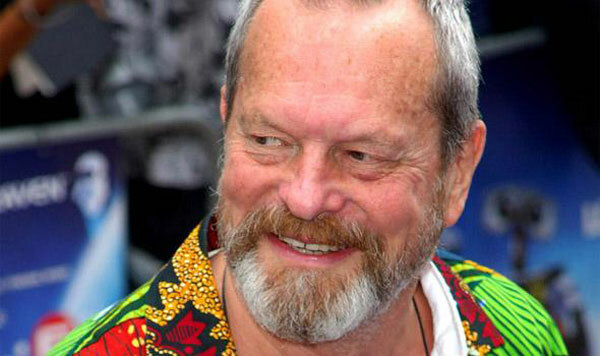 Terry Gilliam rose to prominence through his work on Monty Python's Flying Circus in the early '70s and their subsequent films. Beginning with Jabberwocky in 1977, he started making his name as a creative director with a unique approach to film making. The Minneapolis native has only directed 11 features, but he's made a tremendous mark in the sci-fi and fantasy genres. Gilliam's also known for his disastrous attempt to direct a Don Quixote movie, chronicled in the 2002 documentary Lost in La Mancha. He's been a British citizen since the late '60s, and that different sensibility likely affects his original approach. Gilliam's output has diminished in recent years, but he remains a notable director who's created a strong body of work. Despite the small number of movies, this wasn't an easy Top 5 List to put together. The only Gilliam films that I haven't seen are Tideland and Jabberwocky. Let's check out the picks and see if I made the right choices! More drama than fantasy, this intriguing story includes some of the top performances of Robin Williams' and Jeff Bridges' careers. Mercedes Ruehl won the Best Supporting Actress Oscar for her fiery role, and the film received four other nominations. 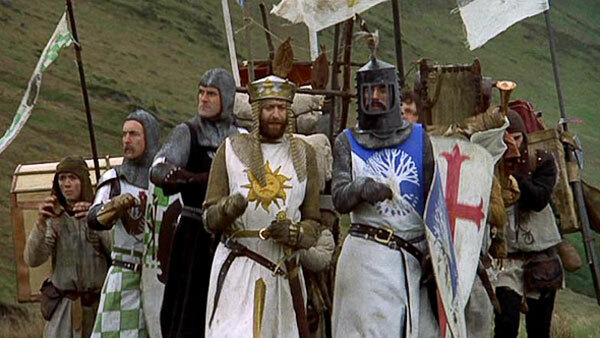 Gilliam does his best work on the fantasy sequences as the guys search for the Holy Grail. 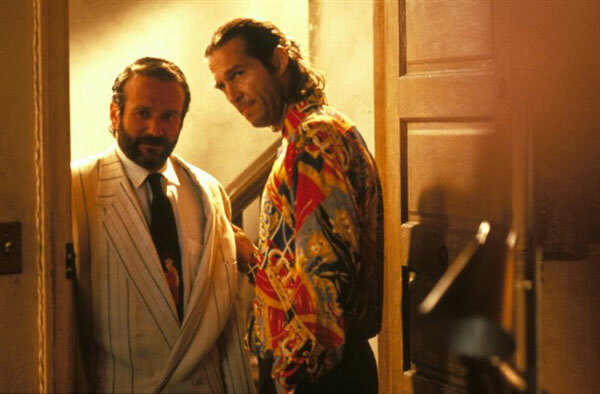 This underrated film rarely gets mentioned, but it's one of the more interesting pictures in Gilliam's career. Overshadowed by Heath Ledger's death and largely forgotten, this inventive film was a big surprise for me when I finally caught up with it last year. Christopher Plummer stars in the title role as the leader of a sideshow act that transports unsuspecting guests into a fantasy world. Tom Waits shines as his nemesis, and Ledger is excellent in an incomplete performance. Although its story is all over the map, this film works because of its offbeat style and remarkable images. This approach may lose some audiences, but it may provide great rewards if you're willing to take the ride. Co-written with Michael Palin and starring a plethora of familiar faces, this time-travel adventure sends a boy (Craig Warnock) through a series of famous historical events. He joins a group of dwarfs as they leap through holes in time and encounter figures like Robin Hood (John Cleese) and King Agamemnon (Sean Connery). They're being pursued by the Evil Genius, played by the perfectly villainous David Warner. 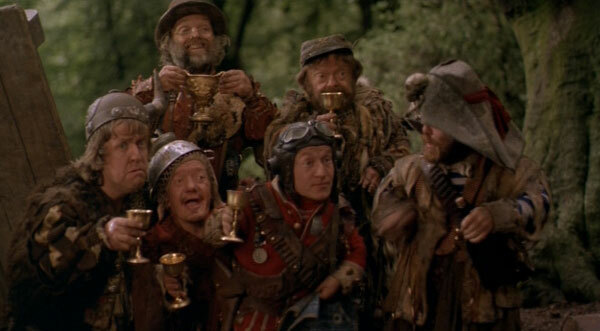 Time Bandits succeeds because it's also a black comedy with a surprisingly dark sense of humor. The nihilistic finale remains stunning and ends the movie on a surreal note. It's an extremely original movie that hasn't lost any of its charm more than 30 years after its original release. What more can I say about this classic? So many of the jokes have moved into pop culture and transcend their original place in the movie. Even if you haven't seen this film, many of the gags are likely familiar. The Monty Python guys all play a wide array of roles, and Gilliam contributes the oddball animated sequences along with providing the directing. The story follows the basic structure of King Arthur's quest for the Holy Grail, with a few unusual detours in between. Similar to Time Bandits, this picture also provides an offbeat ending that may disappoint a few viewers but fits perfectly with the tone of the movie. Choosing between the top two picks was very difficult, and this excellent time-travel story could easily take the top spot. Bruce Willis stars as a convict from the future who travels back in time to learn about a virus that basically destroyed the Earth. He quickly discovers that the answer isn't so simple and tries to stop it. This description fails to do justice to a movie that remains intriguing after many repeated viewings. Willis is at his best in the lead role, and Gilliam reins himself in a bit to present the complicated story. This wonderfully inventive vision of the future presents a bleak picture of humanity through the eyes of office drone Sam Lowry (Jonathan Pryce). 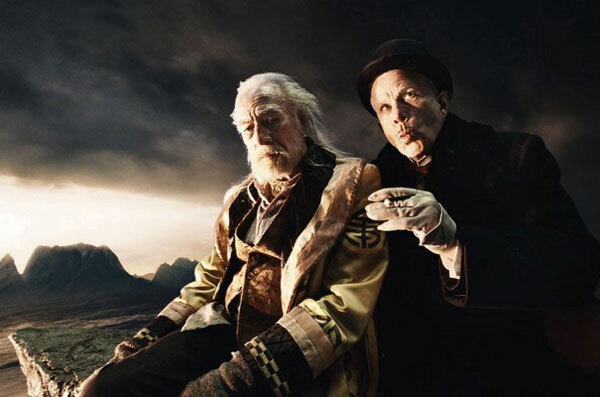 The clever screenplay from Gilliam, Tom Stoppard, and Charles McKeown combines perfectly with the over-the-top visuals to deliver a remarkable experience. 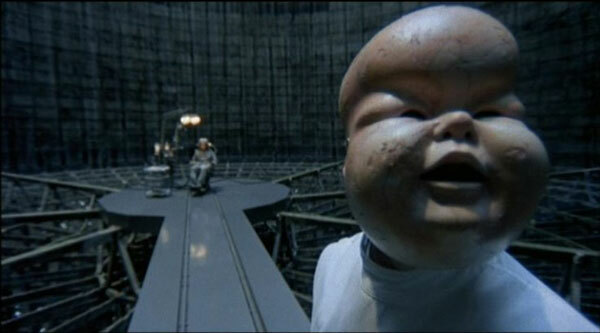 Gilliam consistently toys with our expectations and bombards us with striking images for more than two hours. This film is notorious for his battles with the studios, who created their own laughable cut that's a must-see viewing. Gilliam's at the top of his game here, and the result is an incredible film. Next week, I join a very young Tom Cruise as he battles the evil Tim Curry in Legend. As you point out sometimes the story is all over the map, but I love the imagination on display in Terry Gilliam's work, was already evident when he made the animation in monty python all those years ago. I got the feeling maybe his talent was in art direction rather than directing, who knows. 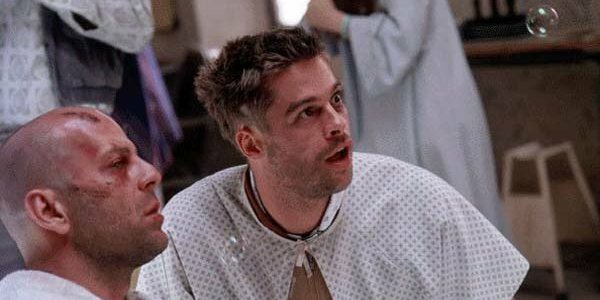 Twelve Monkeys had the most coherent story for me. I agree with your choices for no 1 and no 2. Chris, I think your point about his talents being in art direction is valid. You really see this in some lesser works like The Brothers Grimm where the visual invention is there, but the story's missing something. When the writing is solid and can keep up with Gilliam, it can lead to great films like the top ones of this list. Thanks! Great list. It's funny, Brazil used to be one of my favorite movies but I haven't had a desire to rewatch it in about five years. I think I'd still like it. I just don't know. Thanks Dave. I can see what you mean about Brazil. It's been a while since I've seen it, but it's really stuck with me. I haven't seen most of these, but I really liked Twelve Monkeys, and enjoy picking up new things every time that I watch it! Glad to hear that you enjoyed Twelve Monkeys. I'd definitely recommend all of these films, especially the top four picks. Thanks! Chip, I enjoyed Baron Munchausen, but it fell just short of the other films that ended up on the list for me. It's been a while since I've seen it, so I might need to check it out again. Thanks! Nothing tops Brazil, does it? What an incredibly odd film of remarkable vision. I really enjoy the first 40 minutes of Fear and Loathing, but after that, the movie really drops off. Thanks Alex! Brazil is so original that I can't see anything else topping this list. I was really disappointed when I saw Fear and Loathing. It has its moments, but it lost me by the end.